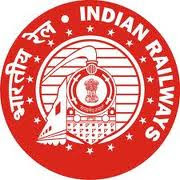 Railway Recruitment Cell (RRC) North Eastern Railway (NER) invites applications for filling up the vacant seats of Group D posts from qualified and result oriented candidates through the notification No. – NER/ RRC/ D/ 04/ 2013-14 Dated 24th August 2013. According to this notification, eager candidates may send their duly filled applications on the address of RRC NER on or before 24th September 2013. More details are given below.